At first blush, this could be insulting to anyone who lives ins, or loves the great state of New Jersey. It is great, let’s just accept that as fact! The title was drawn from commentary of a seasoned wine taster who was irked to learn that two bottles of New Jersey red wine had been slipped into his blind flight of moderately priced California offerings. Ever present in 2014, we see the stereotypes of New Jersey manifest in the taster’s objections. The taster probably reasoned “the state that gave us Snooki and Real Housewives, that is riddled with highway, and serves as New York’s garbage dump couldn’t produce fine wine, could it?” Such opinion makes one wonder, do the people who espouse this brand of nonsense ever leave Terminal A of Newark Liberty? Have they put their toe in the Atlantic next to the Brigantine Lighthouse? Tubed down the Delaware? Hiked the Skylands? What a shame to promulgate the fallacy that NJ is anything less than a gem in the crown of the United States, and still worthy of the “Garden State” nickname. Although I doubt the offended intended his title comment to be taken in the following manner, it does read in the past tense. “Came from” is quite different from “comes from.” For New Jersey wine, we will accept the inadvertent compliment as an endorsement of the improvement in quality as we continue to build a better industry. As the golds and double golds from wine competitions around the country and around the world pile up, and new wineries open with a dedication to quality wine production, “came from” slips further behind us. Yet, the perception lags behind reality. The positive revelation in the study is that the two New Jersey bottles were deemed to have no statistical difference in perceived quality when tasted blind by two different test groups, who were unaware of the origin of the wines. Now for the fun part- a third group was told that of the six wines in front of them, two were from NJ. They were asked to first attempt to identify the NJ vino, which they accomplished with no better success rate than by chance. They could have been equally successful at picking out the NJ wine without tasting, or even looking. Of course, once the third group had established in their mind that two specific wines in front of them were from NJ, those wines were rated inferior at a statistically significant level- whether they were from NJ, or from California. Think about that! California wines were the equal of their NJ counterparts according to groups 1 & 2. When the third group incorrectly identified these same wines to be from NJ, their scores dropped, while the NJ wine held constant under the shroud of being from CA. It mattered not where the wine was from, only where the taster thought they were from. Even this is not terrible news for NJ. 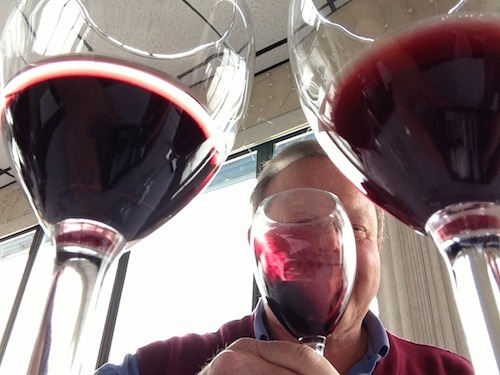 It is easier to change opinions and attitudes, than it is to actually improve wine quality. We have and will continue to improve wine quality, until we are considered a world class wine destination. Equally important going forward will be efforts to tell our story of fine wines being produced in the Garden State. We can all hope that it will quickly be heard and the doubters will listen up.